Just a short and cheap journey from Bristol via the train, Bath is an incredible place to explore. Whether it be for a day or a long weekend, the beautiful city has so much to offer and is the perfect place for a micro gap! I used to work in Bath and didn’t explore Bath as much as I should have, therefore need to make up for it now. Want to know about things to do in Bath? I’m going to give some suggestions for 12 hours in the beautiful city! 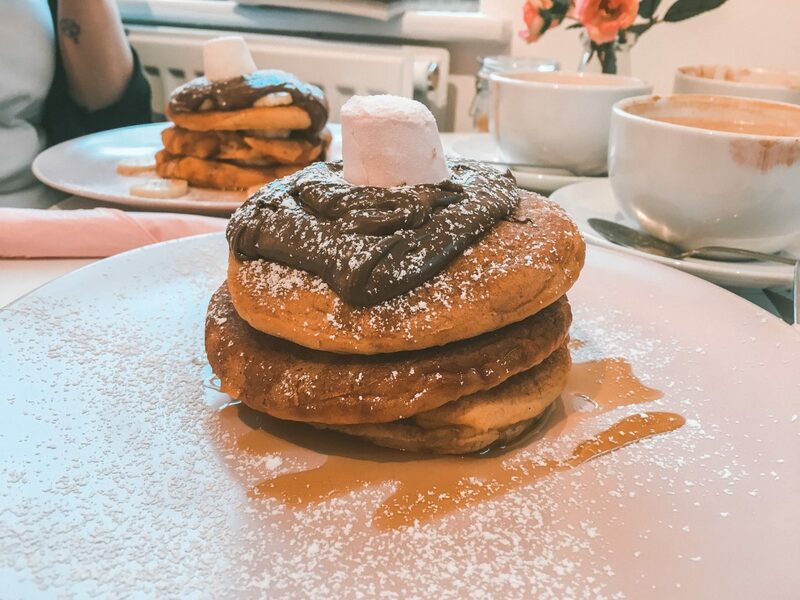 On your arrival head to Sweet Little Things for some incredible Nutella pancakes and a mimosa. 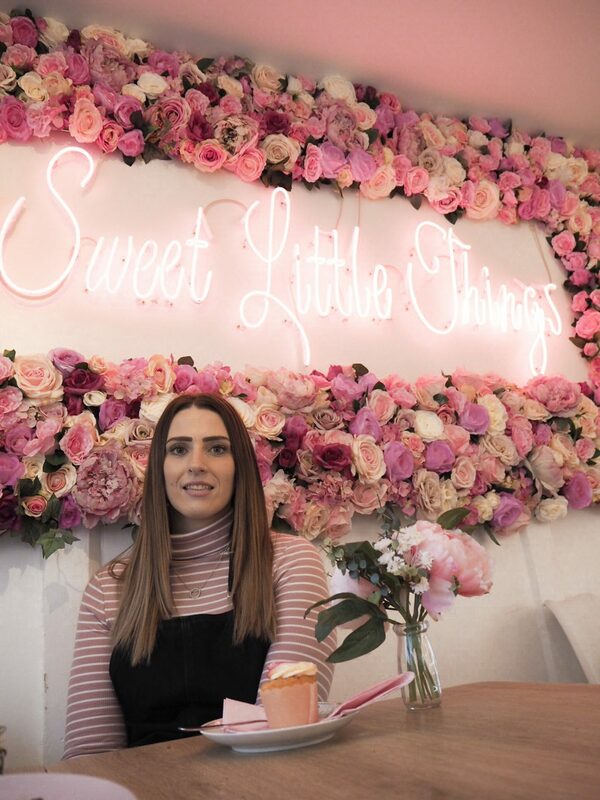 I’m obsessed with floral walls, and the interior was incredible, but they’ve just had a revamp and they have even more floral walls! The atmosphere is very chilled and the food is yummy, I’ve been twice and keep returning every time I’m visiting Bath. After filling up on pancakes, head to The Roman Baths for a stroll around. Walk around the picturesque site, it’s named as one of the finest sites in Northern Europe, so is definitely worth the visit! After basking in some historic views, head to Tivoli Cinema. If you’re only in Bath for a few hours then I would give watching a film a miss, and just enjoy a mid-morning coffee or prosecco. If you do have the time, grab a film and sit in the incredible cinema interior, it doesn’t get much stylish than this! I always recommend shopping on a weekend trip and like most cities, Bath doesn’t let you down. There are some lush vintage shops to pick up some bargains, as well as the high street shops. Strolling round Southgate is highly recommend and you might even spot a floral phone box too! Refuel with some delicious food at The Ivy Bath Brasserie. Offering afternoon tea and weekend brunch, there will something for everyone, as well as some fancy cocktails (I mean, is it a weekend away without a mid-day cocktail?! ), the salted caramel espresso martini and their signature The Ivy Royale sound delicious! Refueled? If the weather is on your side head out to Bath Boating Station for an afternoon rowing on the water. If the weather isn’t so great (the UK likes to be very unpredictable!) wonder to The Royal Crescent for another picturesque view. Once you’ve walked off your brunch head across Pulteney Bridge, which is one of the most photographed spots in Bath. You can even get a boat trip up to Bathampton if the weather is nice. You’re then in the perfect spot to head to The Bridge Coffee Shop for a mid-afternoon coffee and some more great views! As the sunsets, it’s time for more food! There are some incredible places to head for some dinner, from Giggling Squid, The Olive Tree (Bath’s only Michelin Star restaurant), Absurd Bird, Sotto Sotto, and Bath Pizza Co. just amongst what is on offer! 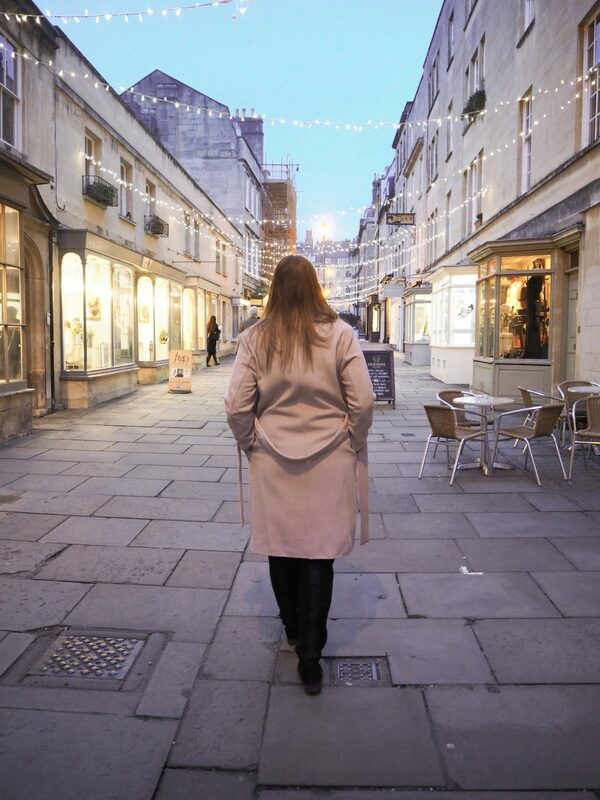 It will depend on the type of food you’re feeling and you may even discover somewhere else you want to visit on your day in Bath! After dining on some delicious food, head for a few drinks at the independent bars on offer. 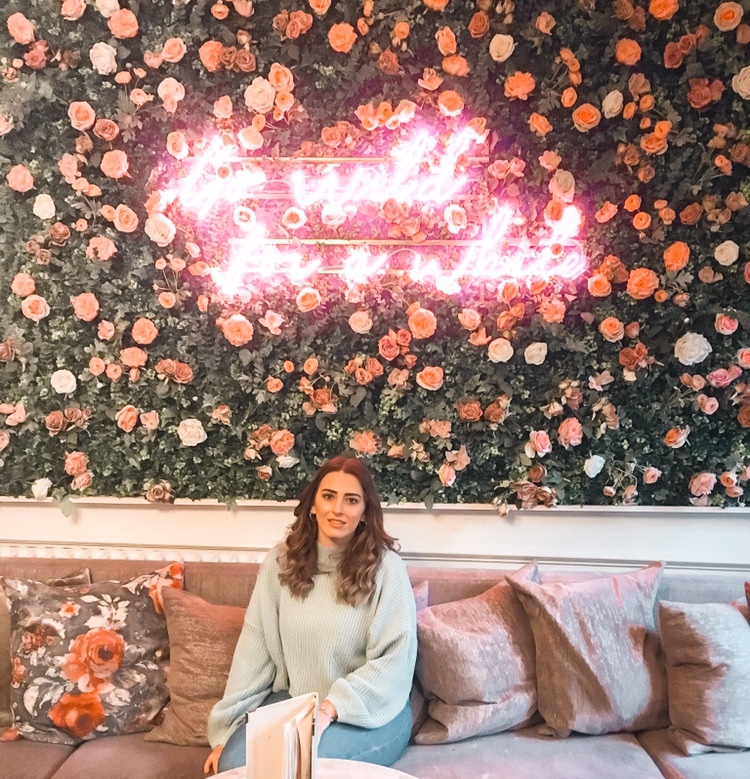 If you’re a fan of gin then The Canary Gin Bar on Queen Street has to be on your list, with numerous gins to try, you’ll want to spend all evening trying them all. If cocktails are more your thing, Sub 13 is known as the best cocktail bar in Bath followed by Circo Bar & Lounge. Bath has the standard chains such as Vodka Revolution, Slug & Lettuce and Las Iguanas, but I’d highly recommend trying some of the independent places first to get the authentic Bath experience! There we have it, some suggestions for your 12 hours in Bath! You could limit down the activities if you want to spend longer at another, or even cram more in. 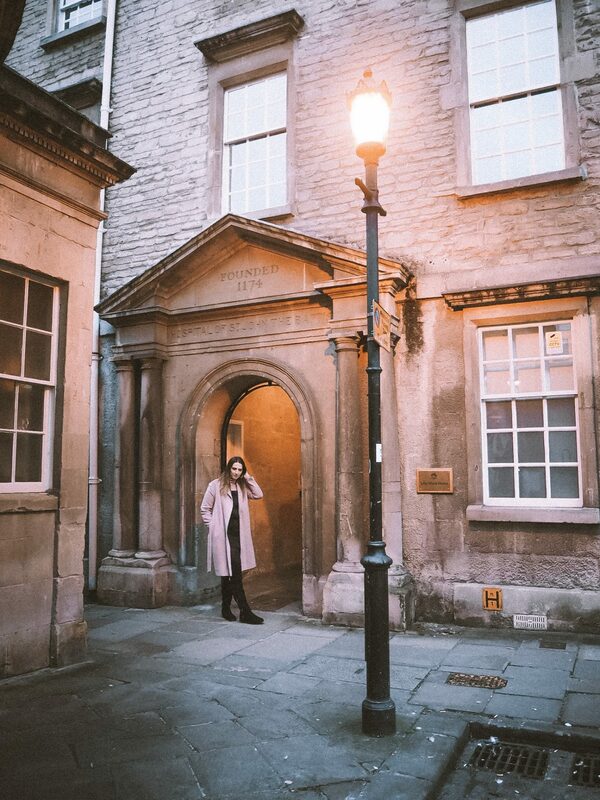 Bath is an incredible city to explore all year round and has one of the best Christmas Markets too which runs for a few weeks from November to December, I wrote about my festive visit to Bath including the Bath Christmas Market here. Is there anything you’d recommend to do in Bath? Let me know in the comments!